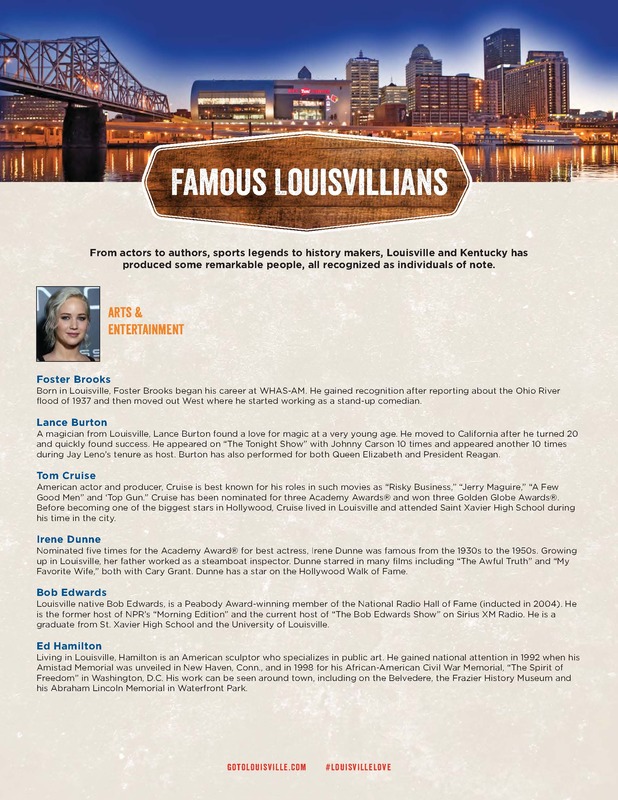 From actors to authors, sports legends to history makers, Louisville and Kentucky has produced some remarkable people, all recognized as individuals of note. When you visit Louisville, you'll recognize many famous faces gazing at you from Louisville Pride banners hanging from our buildings. Each serves as a constant reminder that in Louisville, anything is possible. When you visit Louisville, make sure to keep an eye out for some of the “famous Louisvillians” gazing at you from banners that hang on buildings around the city. 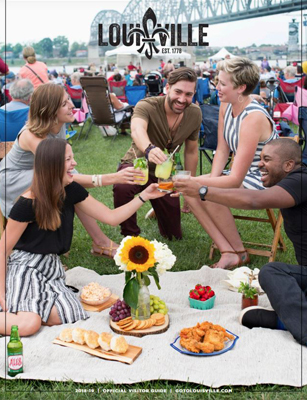 With the purpose of building pride within the local community and enhance Louisville’s image as an exciting city, these banners recognize and honor the city’s famous sons and daughters. Visit www.louheroes.org for information and locations of all the banners.